The human heart is a wonderful thing. I am not talking about the organ that pumps your blood through your body, although it is a wonder in itself. I am thinking about the human heart, which is the center of your being, the very core of who you are. You heart is that part of you that is you. It's your inner sanctum. In our passage, it is called the "inner being." The Bible uses the word "spirit" interchangeably with "heart." So we learn what a heart is from 1 Corinthians 2:11 when we read, "For who among men knows the thoughts of a man except the man's spirit within him." Your heart is the self you are talking to when you talk to yourself. It's who you are at your deepest level. And the human heart is a wonder because it holds so much. It's the place where your hopes reside. The adage, "Hope springs eternal in the human breast" is talking about the heart. It's where we put our dreams for ourselves and for our loved ones. People and events can conspire to keep you down and try to break you, but your heart holds fast to your dreams. It's where we place our love. We love people from our hearts. People put pictures of their loved ones in a heart-shaped locket and wear them on a chain or as a brooch so they stay close to their heart. We wear our wedding rings on our third finger, left hand, because the story goes that the vein from that finger goes directly to the heart. Our heart is where our deepest commitments lie. This is where we hold our promises -- "cross my heart and hope to die" we say. When push comes to shove, the commitments we have in our hearts show up. In our hearts we find the answer to what we stand for, what we would die for, what we would give up. Our hearts are full of memories -- of people and events; of words spoken to us both good or bad. We cherish these things in our hearts. When Mary, the mother of Jesus, walked through her life, she held a lot of things in her heart. She pondered the events surrounding Jesus' birth in her heart. And no doubt she continued to ponder and cherish those things in her heart all her life. We carry the memories of loved ones close to our hearts. In our hearts are yearnings and longings. In our hearts are fears and sorrows. We carry in our hearts pains that stay with us and shape us and become part of who we are. The heart is where we carry evil intentions, where temptations find good soil to grow into ripe sins. Jeremiah says in despair: "The heart is deceitful above all things and beyond cure. Who can understand it?" Think about what you carry in your heart. Stop and be quiet for a while and ask yourself that question. What am I carrying around in my heart? What do I hope for and dream? Who do I love? Whose memory am I holding? What darkness lurks there? And so on. You'll be amazed at the capacity and complexity of your very ordinary human heart. And what is truly amazing is the fact that the human heart is where Christ chooses to dwell. Paul prays for the Ephesians that "Christ will dwell in your hearts through faith." I find that an amazing thought, don't you? "That Christ will dwell in your hearts through faith." Somewhere in our inner being, Christ can dwell. Somewhere in our center the divine Son of God comes to make his home. The one who created all there is, who upholds this world with his hand, who carries out his eternal plan with wisdom and might, who understands the mystery of all there is, comes to dwell in my ordinary little heart. God is so vast, so incomprehensible in his being, so unspeakably good and pure, so full of light and truth and knowledge. And yet he comes to dwell in the human heart. It's hard to fathom. It's hard to imagine an elephant, the largest land mammal trying to live in the home of a little mole under the earth. Something so vast cannot accommodate itself to something so small. Remain in me, and I will remain in you. No branch can bear fruit by itself; it must remain on the vine. Neither can you bear fruit unless you remain in me. I am the vine; you are the branches. If a man remains in me and I in him, he will bear much fruit. 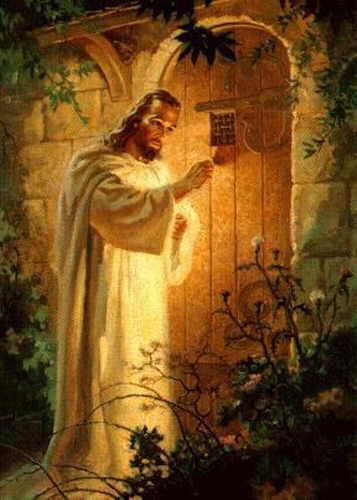 Jesus knocks on the door of each persons' heart with the offer to come and dwell there. And you wonder about what all this means. What does it mean that Jesus comes to dwell in your heart through faith? I'll tell you what it doesn't mean. It doesn't mean that somehow you become divine. Jesus doesn't come into your heart and make you into a divine being. Nor do your thoughts or feelings become divine. There have been too many people who have confused their own thoughts with the will of God. Too many people have used the words, "God told me" to perpetrate all kinds of abuses. When Christ dwells in your heart, you still can't confuse your own sinful heart with his truth. Neither does it mean that Jesus only stays alive in the faith of his followers. It doesn't mean that the Spirit of Jesus is alive within us in the same way as, say, the spirit of Shakespeare is alive every time one of his plays is performed. It doesn't mean that Jesus' words are merely cherished in our hearts and we try to live out the truth he proclaimed. That would mean that he is alive only subjectively in the hearts of those who follow his teachings. That would mean if you took away all those who follow his teachings, you would get rid of Christ. The Bible declares that Christ is alive. He is risen indeed. He is the firstborn of the dead and ruler of the kings of earth. What it does mean is that in his vast mercy and love, God opens a way for us to have a relationship with him again. Jesus brings the Triune God to the center of our lives once again. The tragedy of humankind's fall into sin is that, as a result, the Spirit of God has vacated our inner sanctum. A.W. Tozer speaks about it as a burning bush inside all of us. At the far-in hidden center of a man's being is a bush fitted to be the dwelling place of the Triune God. There God planned to rest and glow with moral and spiritual fire. Man by his sin forfeited this indescrib-ably wonderful privilege and must now dwell there all alone. For so intimately private is the place that no creature can intrude; no one can enter but Christ, and he will enter only by the invitation of faith. Isn't that a wonderful image: A burning bush inside us. Some people say that every human being has the spark of divinity within. But that isn't true. The truth is, we used to have God in our hearts. We used to have a burning bush that did not burn up inside of us -- full of joy, love and peace. But we lost it because of sin. We put it out. People have a sense that this is true. Deep down we remember that there is a place for a relationship. And we try to light that bush on fire in so many different ways. But it won't light. God has left it. But we know it's there and we want it lit. In that sense there is a lingering sense of God within us. We know it from his absence. We sense this emptiness, this longing, this coldness. We have a sense that we are missing something profoundly important within ourselves. We want to strike up that burning bush again. We want to have a spark. We look for God and we think we find him in the force of nature, or in the love of family, or in some religious rites and ceremonies. And the good news of the gospel is that God comes to us in a person. 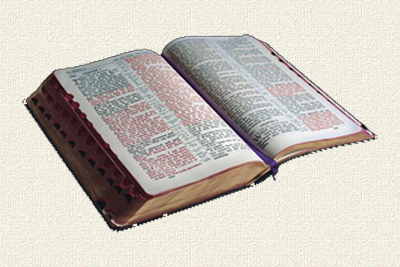 The Bible says "The Word was made flesh and dwelt among us." When we believe in Jesus Christ, he comes in and lights up that burning bush. 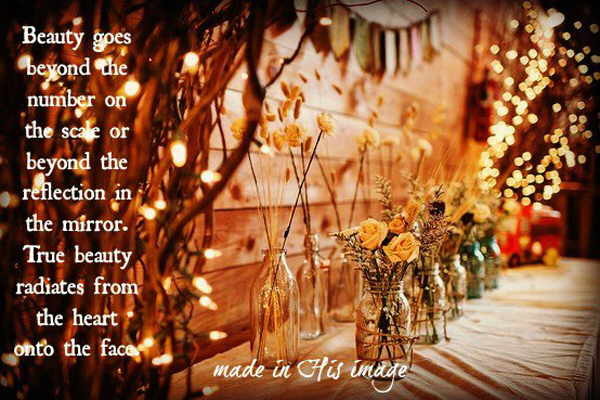 He creates a holy ground within our hearts. He enters that place where only he has the key. And the glory of his presence fills us with warmth and joy and peace. That's what Christianity is all about. Christianity is not primarily a religion of do's and don'ts. It is not about making an intellectual assent to formal creeds and doctrines and holding the fundamentals against all else. It's not a strict adherence to a moral code. Christianity is all about Jesus living in your heart and lighting up that burning bush within you. Baptism, profession of faith, receiving the sacraments, church membership -- these mean nothing unless the supreme act of God in renewing your life happens. Religious externals may have a meaning for the God-inhabited soul; for any others, they are useless, or worse, since they can give a false sense of security. Paul prays that Christ may dwell in the Ephesians' hearts through faith. That's a prayer we have for our church today. That's another way to pray that we will be true Christians. It is a prayer for authentic Christianity alive and growing in the hearts of all the members. We pray that Christ may dwell in all of our hearts. What happens to you when Christ dwells in your hearts? Many things. For one thing, you find a peace that passes all understanding guarding your heart and mind. You will be truly "home" among God's people, because God is finally home with you. For another thing, you find that you are worshipping God in a true way. 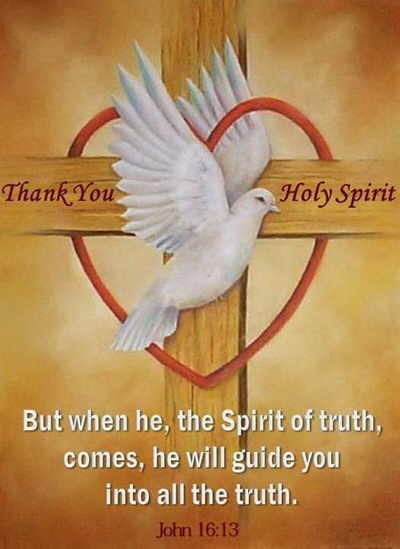 Jesus says that God is Spirit and those who worship him will worship in spirit and in truth. True worship is not about special days and special garments and special ceremonies -- although they are important. True worship is the union of the human spirit with the Spirit of God. When Christ dwells in us, that happens in worship. 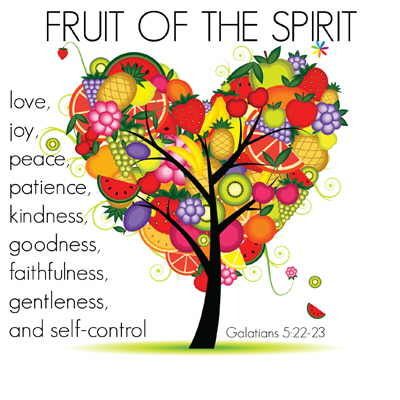 Another thing that happens is that you find the fruit of the Spirit growing within you. Love, joy, peace, patience, kindness, goodness, gentleness, faithfulness and self-control are growing and showing up in you. 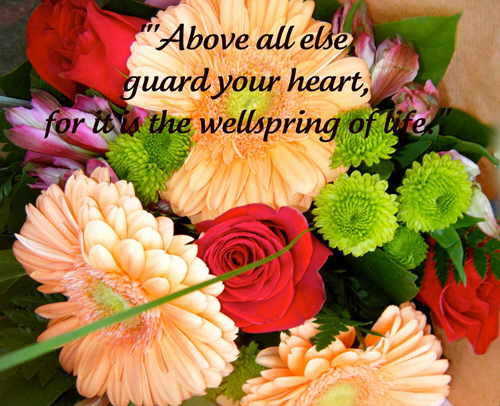 Another thing is that you are taking time above all else, to guard your heart, for it is the wellspring of life, as Proverbs 4:23 says. You are keeping your priorities straight, you are gauging the pull the things of this world have on your heart. You are keeping pride in check, as well as beating down the weeds of jealousy and envy, immorality and anger, gluttony and laziness. You are working at spiritual hygiene, keeping your spiritual house in good shape so that God can dwell there. Too often we wind up crowding God out. The wonder of it is that he comes again and again, and remains in us as a slow and steady burn. Finally, even though your heart is prone to evil and you have a natural tendency to hate God and neighbor, there is a new principle in your life that is stronger and deeper. And even though you fall and you fail and suffer, there is a holy desire to change, to do better, to make amends, to walk the walk and not just talk the talk, to be humble just like Jesus. You have power to change. There is something different about you. A little girl, on the way home from church, turned to her mother and said, "Mommy, the preacher's sermon this morning confused me." The mother said, "Oh! Why is that?" The girl replied, "Well, he said that God is bigger than we are. Is that true?" "Yes, that's true," the mother replied. "He also said that God lives within us. Is that true, too?" "Well," said the girl, "if God is bigger than us and He lives in us, wouldn't He show through?" The human heart is truly a wonder. Most wonderful is that it is the dwelling place of God.